Oh, that salsa sounds so interesting! I haven’t tried the strawberry/avocado combination. Give a try!! So good!! The red white and blue strawberry shortcake looks so pretty. I may need to make that this summer! We usually just eat berries straight from the package, well after they have been washed of course! We do too, by the pint!! I make strawberry salsa as well but never thought of adding avacodo to it. Will have to try that next time. It’s really good with the avocado! We used to grow strawberries in the backyard, and so I have a lot of recipes for them. I make shortcake with baking powder biscuits or chocolate biscuits, pavlova, salad….you name it! Strawberries and biscuits sounds really good! 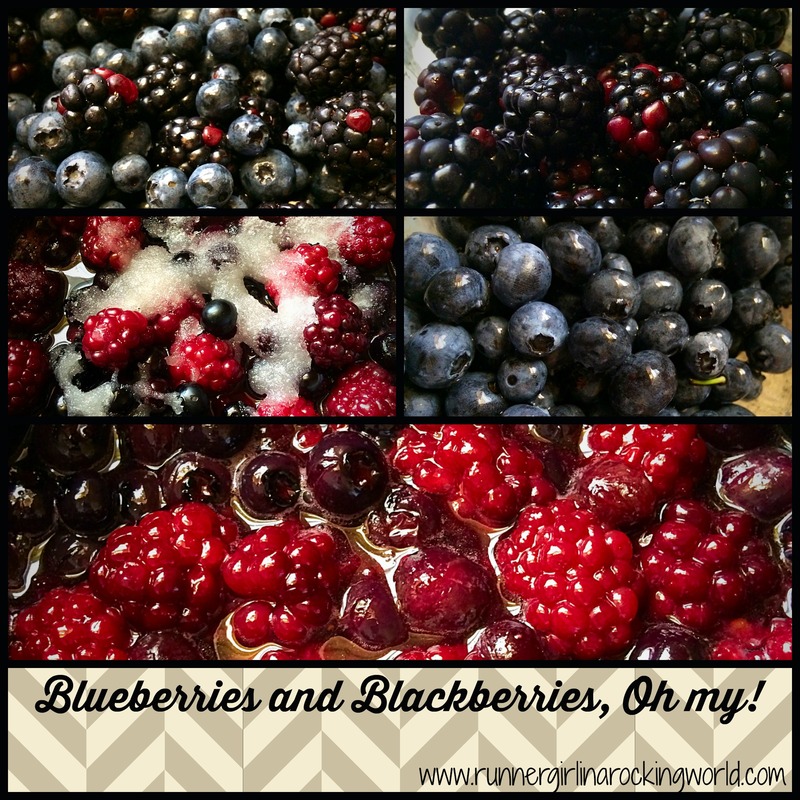 All of these berry recipes look delicious! 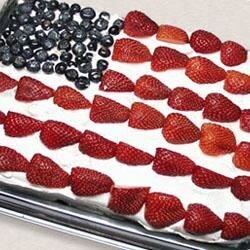 I can’t resist a red, white and blue 4th of July cake! I love blueberries, strawberries and raspberries. I need to get more creative and try recipes like these! The sauces are great because you can save it and use it throughout the week! Oh yum!! That sounds super good!! What a fun thing! Me too!! This is my favorite time of year! It’s a good one!! Easy to make and tastes great! Yum! Can’t wait to try these. Berries are my favorite! I love berries of any kind in summer! The strawberry avocado salad sounds great! 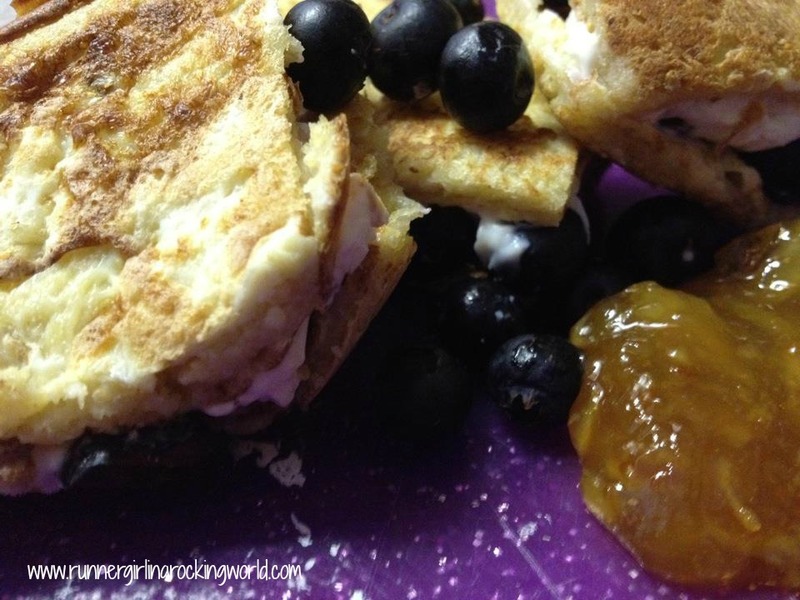 blueberry french toast sandwiches?! yes, please. that sounds delicious! All of these look delicious! I really like the idea of cooking something in the crock pot- less work for me, more yummy! I’ll probably use one of these ideas for my work’s memorial day cookout Monday. We were asked to bring in desserts and I totally forgot until just now! Oops! Yes yes. To all of these. I’ve had greek yogurt with berries but never a warm berries. I’m making this today. Wait. No yogurt. I’m making this tomorrow after I go to the groc store today.